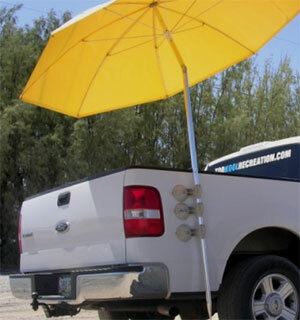 The Pop’N’Work umbrella offers low cost protection from sun and rain. 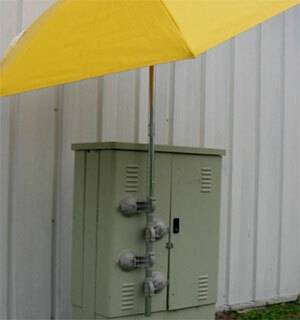 With a steel frame and durable yellow vinyl cover. Multiple sizes available. Two part aluminum or wood pole. Or ask about a custom color. 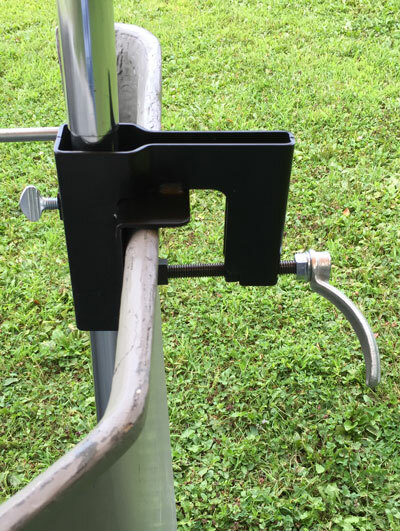 One-piece heavy duty steel construction clamp for mounting umbrella on bucket. COMPACT: One-piece heavy duty steel construction clamp. 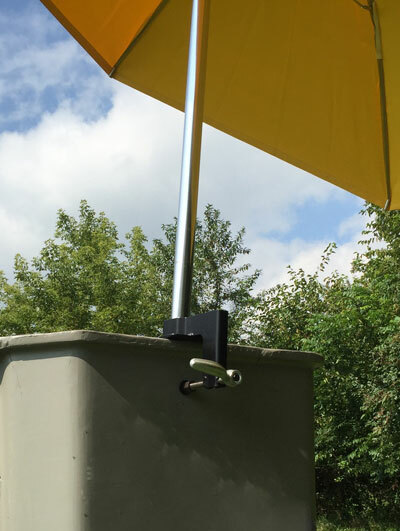 EASY INSTALLATION: Slip clamp over edge of bucket and tighten horizontal bolt. 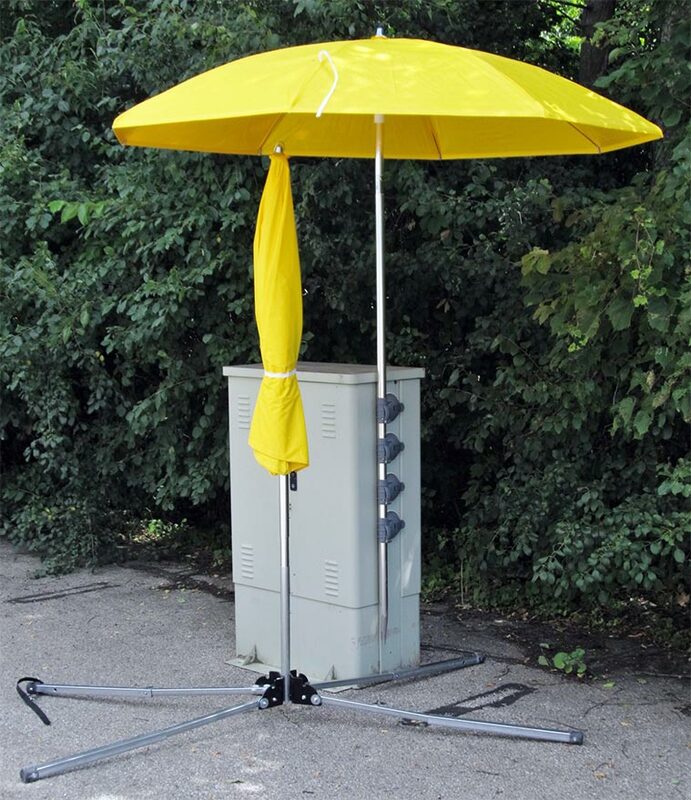 Insert the umbrella pole and tighten the thumbscrew. 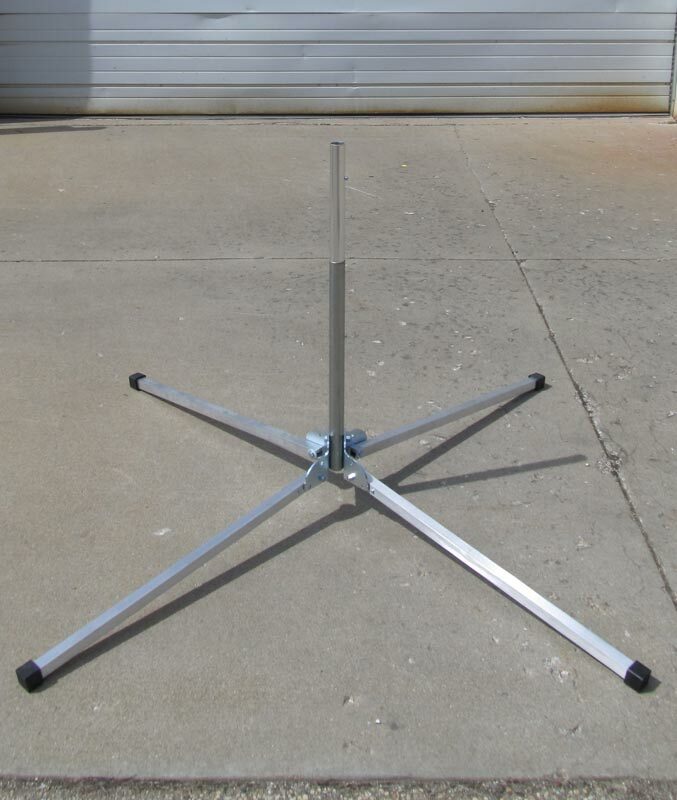 Adjustable height from 26” to 43” with telescoping legs for maximum stability. 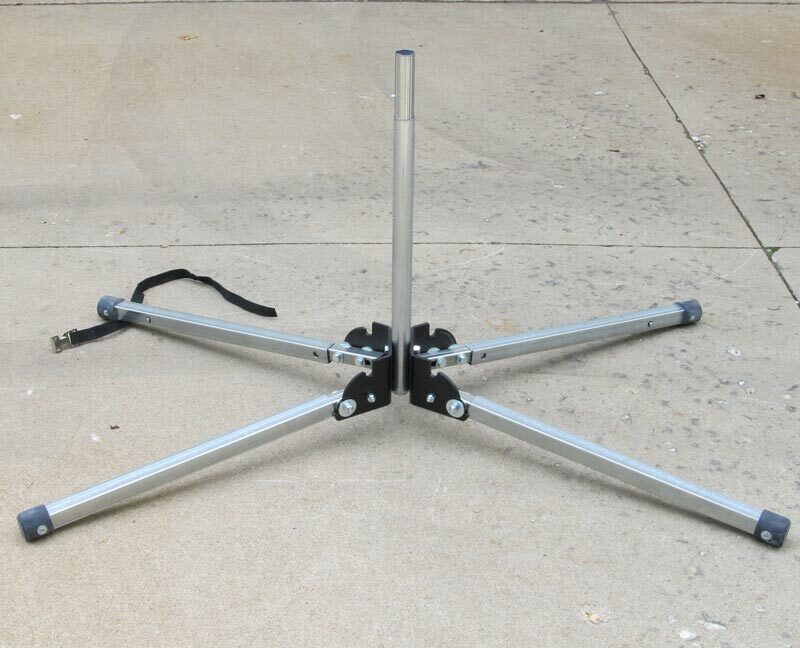 EASY INSTALLATION: Unstrap the stand, adjust length of leg. Lift leg upwards and then lower it. Repeat on the other three legs. 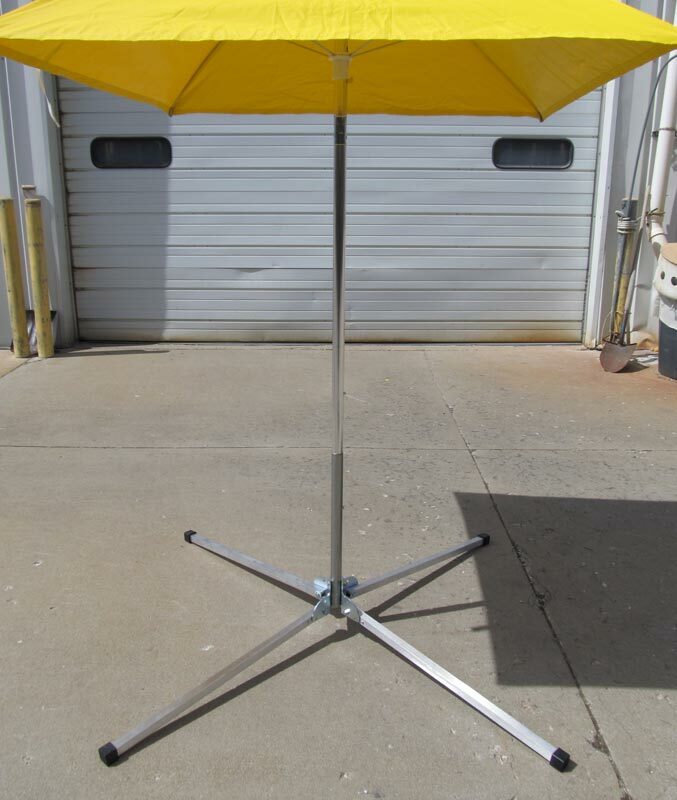 Lighter weight steel and aluminum umbrella stand. Adjustable height from 26” to 43”. Open base of 40” x 40”. 10 lbs. EASY INSTALLATION: Lift leg upwards and then lower it.Repeat on the other three legs. Pop’N’Work Kool Klamps install easily and can be used on cabinets, vehicles, or any smooth surface. A minimum of 3 clamps are required but we recommend to use all 4 for best results. 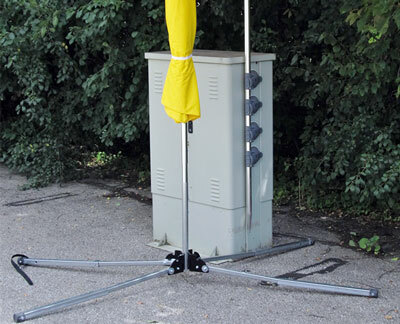 System includes four suctions clamps and one 84″ diameter umbrella with aluminum pole (tilt).